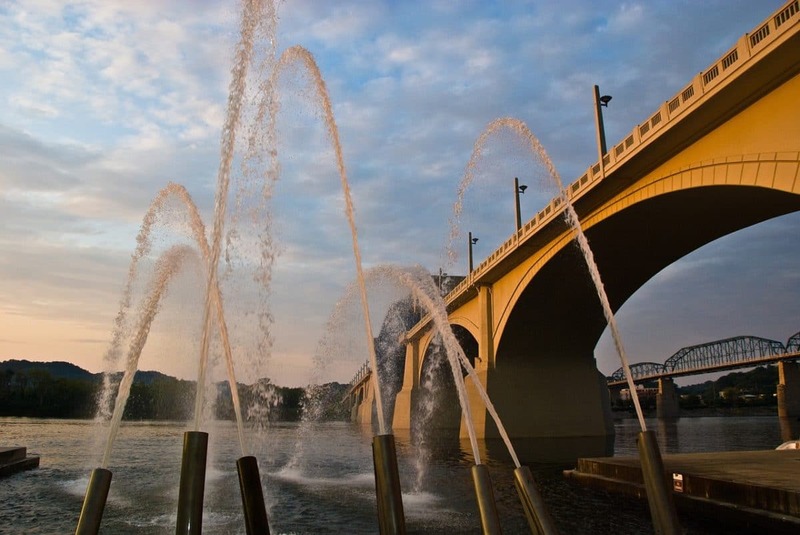 Snaking along the southern banks of the Tennessee River you will find one of the most popular outdoor recreation and sightseeing spots in the entire city, the Chattanooga Riverwalk. You will undoubtedly need a stop for food or drinks along the way, so consider a coffee from Rembrandts, a quick lunch at Tony's Pasta Shop or the Boathouse Rotisserie and Raw Bar, or enjoy a drink at Scotties on the River. You can also grab an ice cream cone at Clumpies or sit down for a good dinner at Beast and Barrel Gastro Smokehouse.